The special Traveler’s Compendium Edition for Octopath Traveler is available once again on Amazon Germany. To reserve it, head on over here. 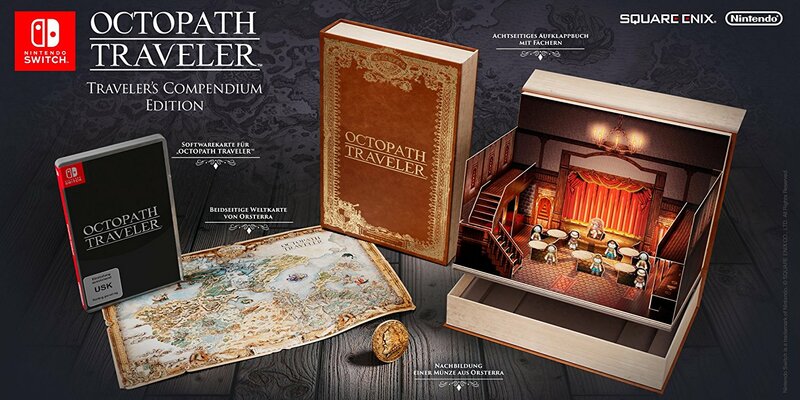 The Octopath Traveler – Traveler’s Compendium Edition includes the game, a pop-up book, a map of Orsterra and a replica coin.